Happy Mothers Day is just round the corner and it's time to bring a surprise to mom again. Put a smile on her face by making your own handmade Mother's Day greeting card. 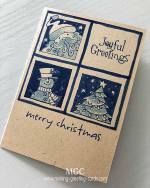 I created this Happy Mother's greeting card on a white card stock with a rough sketch of the visualised handmade card in my mind. But once I sat down at my craft table to work on it, it begins to take a different direction after I laid down the first stamped image and die cuts. Then as I began to play with the watercolor, the color kind of change too and in the end, this is what I got. Well, though this Happy Mothers Day greeting card isn't what I visualised it to be and the paper is a bit buckled and wrinkled, I'm sure mom will still be happy to receive this handmade card. click here for more Mother's quotes and Mother's poems. White Cardstock 12" x 6"
White Card Strip 6" x 1.5"
Instructions here are a bit longer than usual because of the many elements added. 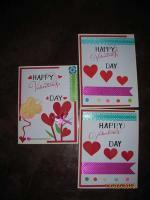 Please do refer to the above image of this Happy Mothers Day card for placement and details. 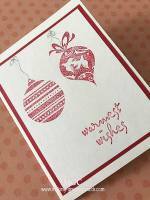 Fold white cardstock to make square blank card. Ink flower rubber stamp with wild honey color distress ink and stamp 2 images on scrap white card. Wet brush and pick up the red color and apply to the flower petals. Just brush onto the inside of the petals. Cut out the flowers. Cut around the inner petals of second flower image. Attach double sided foam tapes and paste over the bigger flower to create a 3D flower. Thread string into button holes and tie knots. Attach button to 3D flower centre with glue. Ink Happy Mother's Day stamp with same ink and stamp on the right of the white strip. Stamp runing stitch on the top and bottom edges of strip. Tear edge along right side of strip. Wet brush and pick up the yelowish brown color and paint the strip adding more color along the edges. Stamp running stitches along the four edges of white blacnk card front to make a stitched frame. Curl right torn edge of strip with a toothpick. 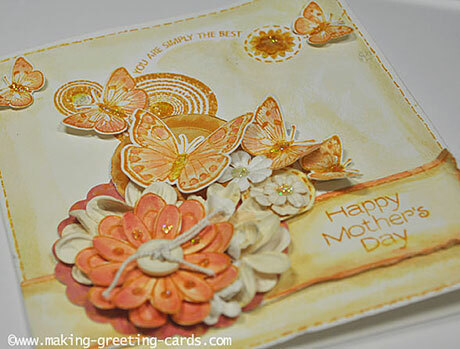 Glue strip with Happy Mothers Day onto the bottom of card front. Stamp grunge circles on centre more to the left of card front. Arc YOU ARE SIMPLT THE BEST cling stamp onto acrylic block. Ink and stamp on card starting from the big grunge ripple circle. Ink and stamp smaller circle to the left of YOU ARE SIMPLT THE BEST. Paint yellowish brown color all over card front inside the stitched frame. Die cut scallop edge circle with design paper and attach to bottom left of card above the strip. Attach 3D flower at bottom left of scallop circle with double sided foam tape. Stamp and die cut two circles: one big and the other small and attach to card above scallop circle top and left respectively. Stamp and die cut butterflies. Water color butterflies with orangish red. 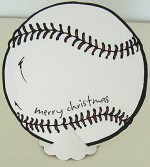 Attach to card with double sided foam tape and glue. Add paper flowers underneath 3D flower as well as nder the butterflies near the 3D flower. Add glitter glue to butterflies, 3D flower and paper flowers.